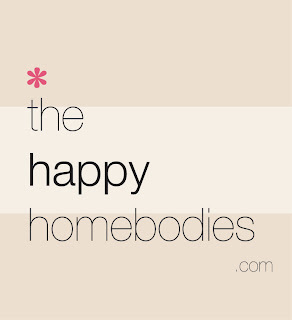 The Happy Homebodies: Quick Blog Update & Twitter! We're doing some behind the scenes work on the blog that I'm really excited about. My friend is helping me with the blog redesign, and I'm not sure when it will be ready. I am sure that it's going to be great looking and user friendly, so that's what matters! * Facebook page coming soon (probably when we launch the redesigned site). I'm a big social media fan and I'd love to connect with you all that way. If you have a Twitter or Pinterest account you'd like me to follow, link it up in the comments! That's all I've got for today. Hope you are having a fabulous day!